If you enjoyed the snowflake pattern from Dave in December, you’ll want to be sure to add this one to your collection. 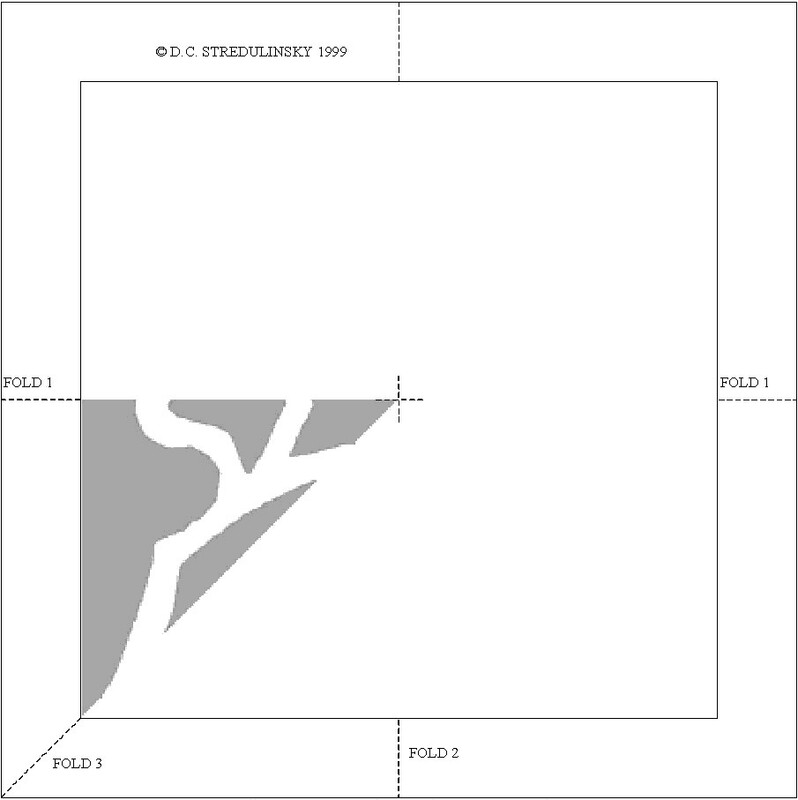 Click on printables and print and cut out the square. Keep the grey and white triangle (1/8th of snowflake) visible after each step. Fold in half again along the line labelled FOLD which extends to the center of the snowflake. Fold along the diagonal of the square on the line labelled FOLD 3 so that you are left with a triangle shape of folded paper with the grey snowflake image filling one side. With a small pair of sharp scissors cut away all the grey areas so that only the white areas between the grey patches remain. Carefully unfold to reveal your completed snowflake. Notes: Attach a loop of black thread through one of the points to hang it on the Christmas tree. Flatten the snowflake by ironing it at low emperature between two sheets of paper. Photocopy the pattern (enlarge or reduce) if you wish to change the snowflake’s size. 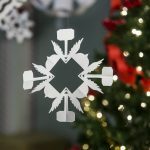 This craft reprinted courtesy of Daves-Snowflakes.com.